Homeowners have taken advantage of the opportunities now available from lenders. Remortgaging is offering the ability to escape future interest rate increases while also finding savings. No one wants to pay more in repayments than needed and a remortgage deal offers the ability to find relief. However, there are still many property owners that are waiting on the fence and while holding out they could miss the opportunity that is available. Lenders are competitive and are looking to get the attention of those homeowners that are still not yet convinced to remortgage. They are offering low interest rates and some with extra incentives. Lending is easing and those that were shut out before may have the doors opened to them. Perhaps the best opportunity out there for homeowners is the ability to do their own homework, shop around, and discover the best remortgage for their needs. For those looking to save money through remortgaging, the interest rates are very attractive. Experts do suggest that homeowners not focus solely on the lowest rates from lenders. The lowest rate might have higher fees associated with it. Fees could cancel out the savings. Therefore, look for the remortgage that offers the best savings overall which would include any fees or other costs. Homeowners looking to escape the worry and stress of rising interest rates are advised to consider a fixed rate remortgage. The Bank of England’s Monetary Policy Committee is expected to increase the standard base interest rate again this year and maybe more than once. By getting a fixed rate, a homeowner could have peace of mind despite any warnings of rising rates. 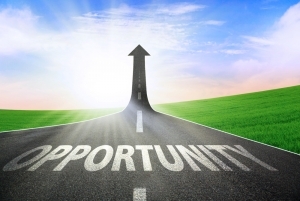 Opportunities are available for those homeowners that have had their current mortgage deal end and are now on their lenders standard variable rate or SVR. Those that are close to having their mortgage deal end could take advantage as well and shop now to be ready or switch early. Even those not close to having their deal end could find a deal worth paying fees against to take advantage of the benefits of a remortgage. There are remortgages out there for every homeowner, they only have to be discovered, especially by those waiting for the best time to take action. It might be now.